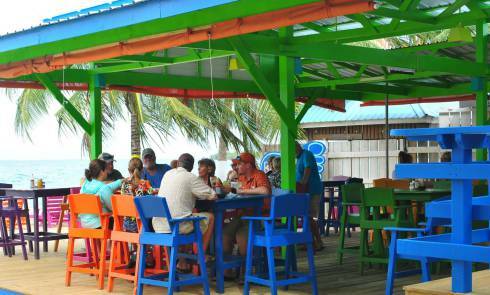 I love the beach bars of Belize. If you follow my Facebook page, you would know that I invariably end up back at the mainland of Belize or on one of its islands for a couple days while on our worldwide virtual beach bar crawl. When you start posting beach bar photos from Belize, you quickly recognize the beauty of the country and you feel compelled to stick around for awhile. Staying around for one day just doesn’t do it justice. One of my favorite spots in Belize is Placencia. It’s kind of the laid back less touristy version of Ambergris Caye. One of the mainstays on the beach bar circuit in Placencia is Barefoot Beach Bar, easily recognizable by its conglomeration of bright colors. Up until a few weeks ago, however, it wasn’t actually on the beach – it was across the street. 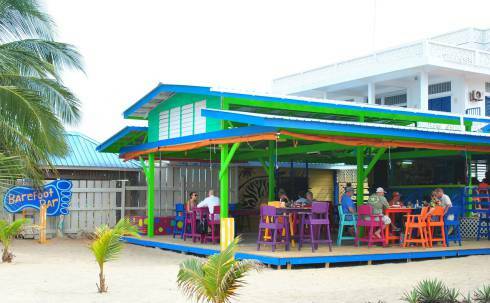 Ideas were hatched, plans were made, red tape was cut and the next thing you knew, they literally picked up and moved the beach bar across the street to its rightful perch on the beach. And the bright colors of Barefoot Beach Bar never looked better next to the white sand and crystal blue waters of Placencia. 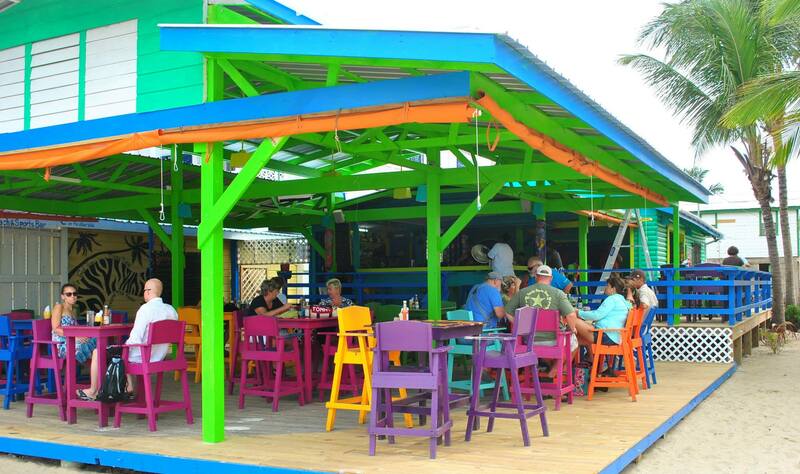 Welcome to your new home, Barefoot Beach Bar! Hopefully I’ll be knocking on your door one day and sticking around for a day or two! 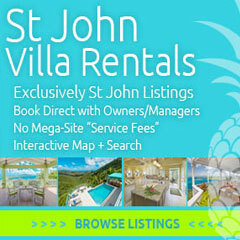 Link to Trip Advisor page. All photos from the Barefoot Beach Bar Facebook page. Wow! Thanks so much! Just saw your post and we LOVE it! Thank you! It was all my pleasure! 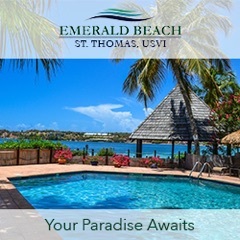 Best of luck in your new spot on the beach – can’t wait to see it some day! I live in Placencia and all of the locals are so happy they moved to the beach. 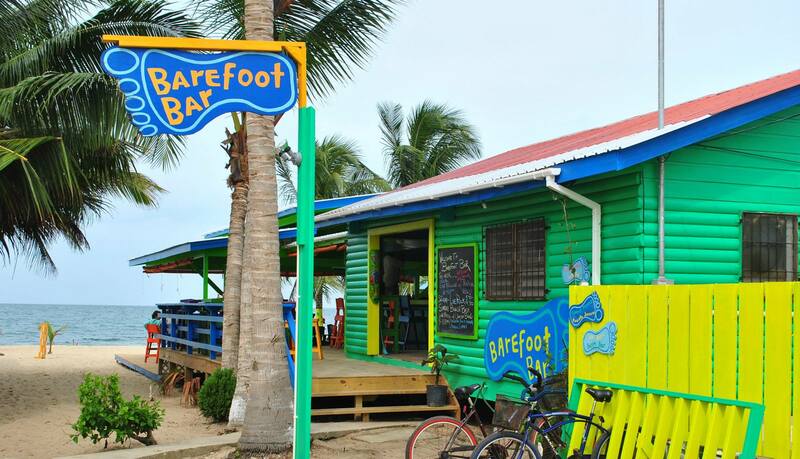 Location aside, however, there are a lot more reasons to come to Barefoot Bar than the beach. They have an extensive, creative and tasty food menu. A wildly creative cocktail menu, with some drinks being priced super duper low (around $3 usd). And the owners are so nice. In fact, all their servers are! So come for the location, and then stay for the food, drink and people. We absolutely love it here. Thanks for the info, Sharon! Sounds like Barefoot is a great place to be!